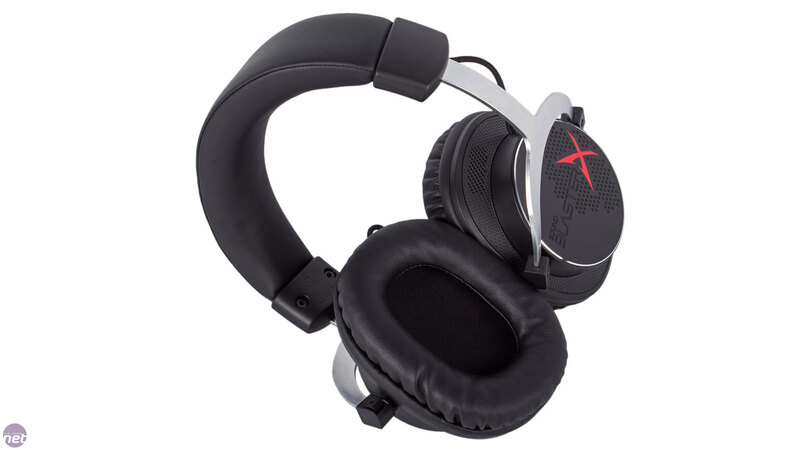 It's been a good few years since we last saw a headset from Creative, but the company recently launched a new range of gaming headsets within its Sound BlasterX family. In total, there are four new headsets, including three over-ear and one in-ear. 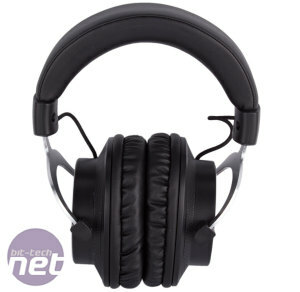 We're looking today at the H5, an analog stereo headset that will currently set you back at least £80. Opening the package, we were immediately reminded of the Qpad QH-90 and the Kingston HyperX Cloud headsets, which are themselves rebranded and tweaked versions of the Qpad one. While Creative is not licensing the core design from Qpad, the headsets are undeniably similar in design. 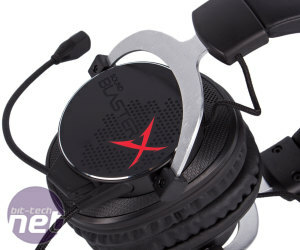 The Sound BlasterX H5 sports an aluminium headband that's used to suspend the earcups between two connection points. 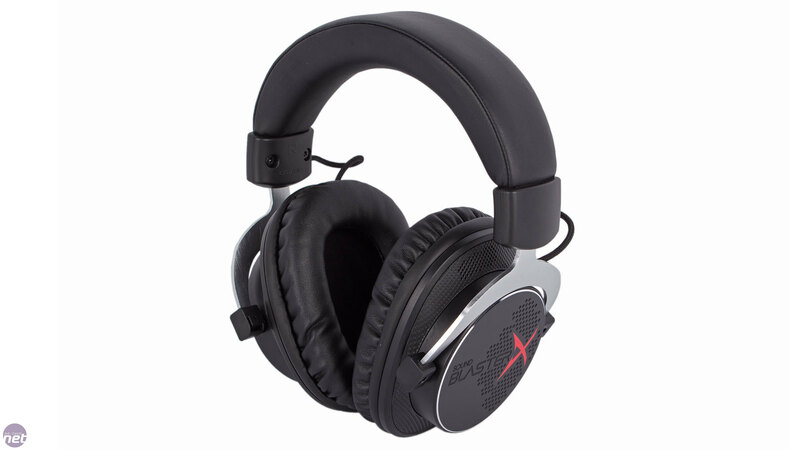 It's a sleek, modern design that's relatively bulk-free for an over-ear gaming headset. 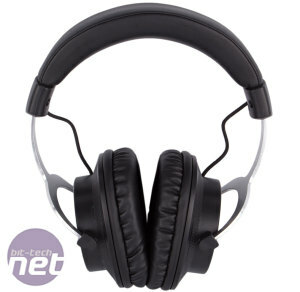 The build quality is excellent too – the headset is both sturdy and light and the stitching on the material is without fault. The headband has a good amount of height extension and it's easy to adjust. The suspension of the earcups leaves them with the freedom to move and adjust to the shape of your head, although they can't be folded inwards for flat-packing. 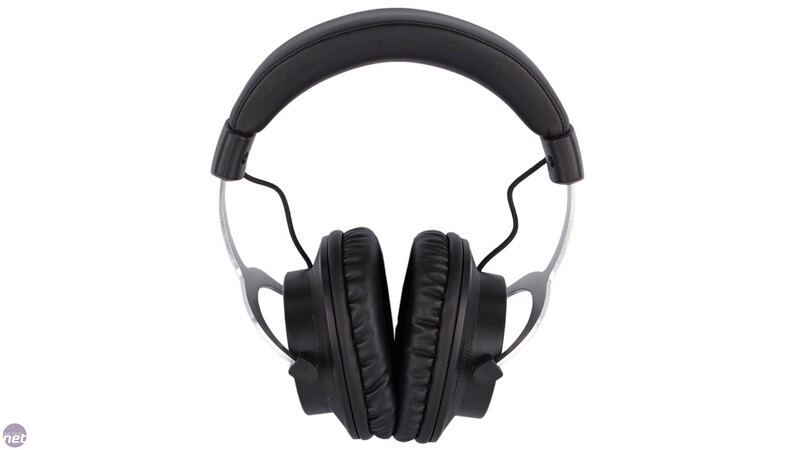 Both the headband and the earcups have a covering of foam that is marshmallow soft and coated in a leather-like material that is equally comfortable. 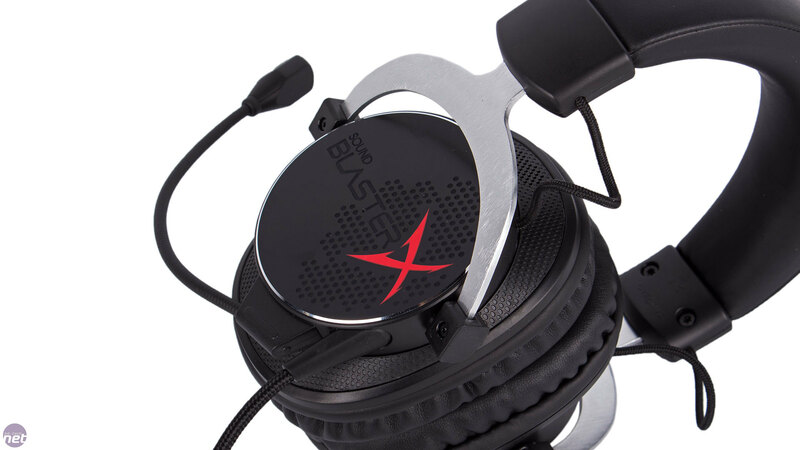 In short, just like the Qpad and Kingston headsets, the Sound BlasterX H5 is extremely comfortable to wear – we really can't fault it in this regard. 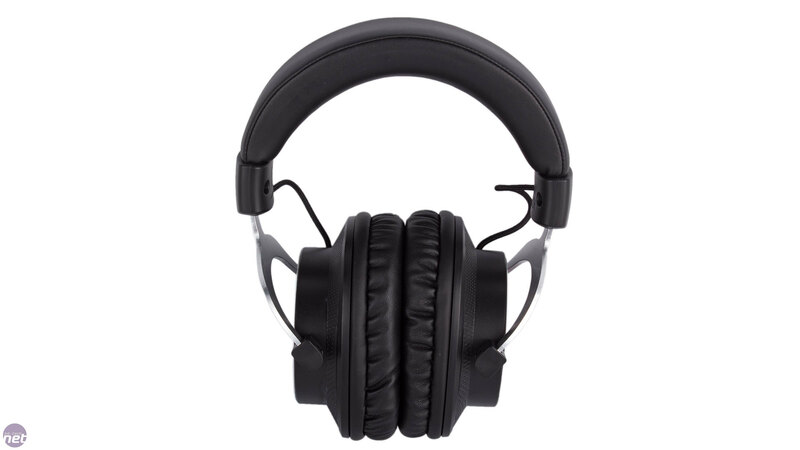 That said, some users may prefer a more breathable material as your ears may get pretty hot wearing these for long periods, though the earcups in turn do a great job keeping background noise out. The analog cable is detachable and uses a 4-pole 3.5mm jack on both sides, making it compatible with notebooks, mobiles and the PS4 right out the box. The cable is braided and high quality, and an extension splitter cable for PC users with separate headphone and microphone jacks is also supplied. 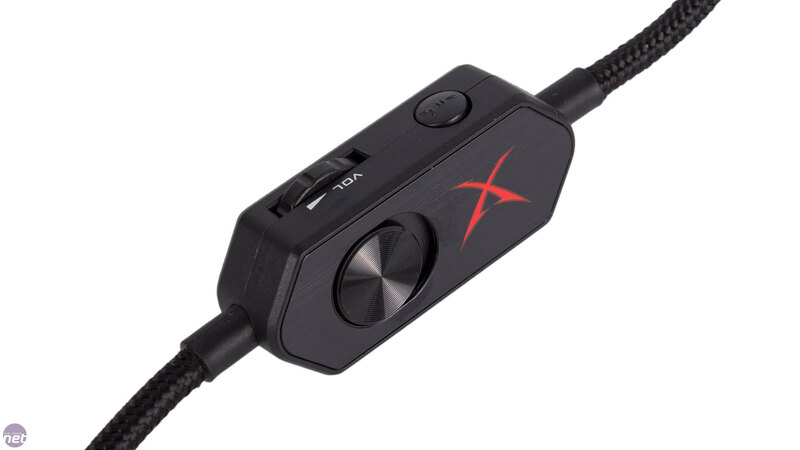 The main cable has a small in-line remote including a volume wheel, microphone mute switch (with red indicator for mute mode) and a pause/playback button for mobile devices which can be used to answer calls as well. There are no buttons to skip tracks, though, nor are any other accessories supplied. The detachable microphone connects to the bottom of the left earcup. It is basic in design and comes without a boom cover, but is very easy to adjust and it stays exactly where you put it. Sadly, our experience using it was not positive. While our voices came through clearly, unfortunately so did everything else. The microphone appears to have no directional or noise cancelling properties – our mechanical keyboard was picked up no matter which direction we aimed the tip of the microphone, and likewise sounds coming through our speakers, and even the headset itself, were recorded with worrying clarity. While you can minimise the impact of this by limiting your own volume, it's unlikely to be something your teammates appreciate, and for a headset at this price it's disappointing Creative seems to have overlooked this. The sound from the 50mm drivers is thankfully top-notch. 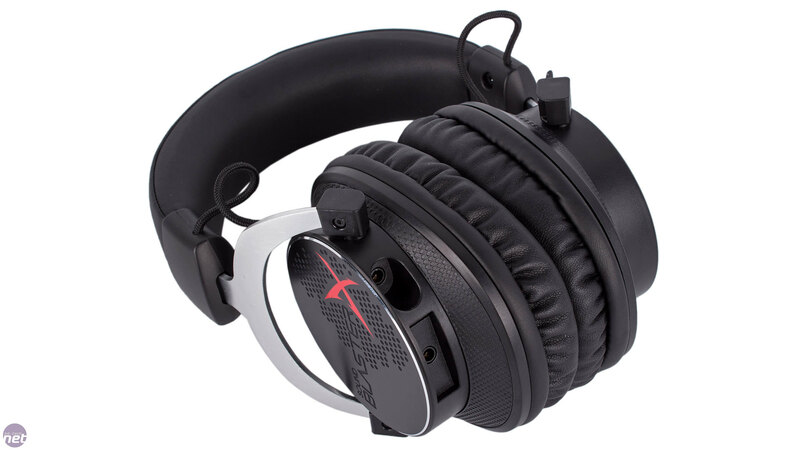 The Sound BlasterX H5 isn't the loudest headset out there but it's plenty loud enough in our opinion, especially given how well it attenuates external sounds, and it also doesn't distort a maximum volume like so many cheaper models. Music is handled very well with bass notes that are nice and warm but not overpowering. 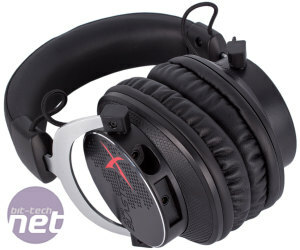 This is important because the mid-range is very detailed and clear and the headset has plenty of dynamic range. The deepest sub-bass frequencies are also reproduced well, and detail at the high end is retained but still not as clear or impressive as it is on the Qpad QH-90, which refuses to be trumped in this arena. The solid audio performance does the H5 many favours in movies and games too – dialogue is handled just as well as intense action scenes and it's an immersive experience overall. 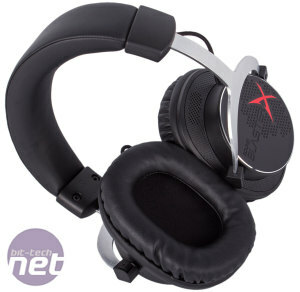 In many regards, the Sound BlasterX H5 is a very nice headset – the build quality and comfort are near flawless, and they sound brilliant too. 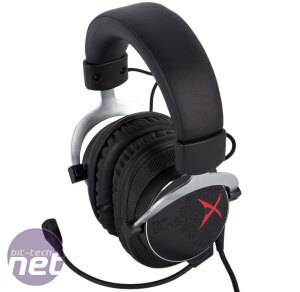 The main issue they face, as so many stereo headsets do, is the extremely stiff competition from the Qpad QH-90 and the Kingston HyperX Cloud and Cloud II headsets, which can be had for between £50 and £70 depending on the model. 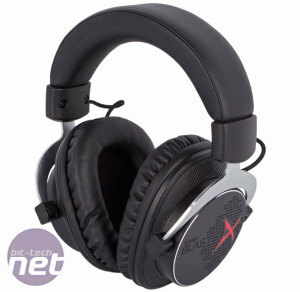 They offer just as much comfort and build quality and are far from lacking in the sound department. The Creative headset we'd say has better bass output and a better balance of sound overall, but its competition wins at the high end and holds up very well elsewhere. 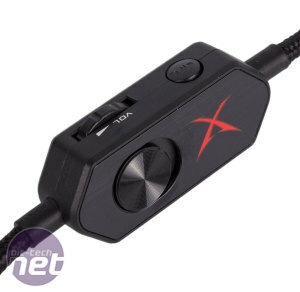 In the end, with the relative lack of accessories and issues with the microphone in mind, it's difficult to recommend the Sound BlasterX H5 at its current pricing of between £80 and £100, good though it may be in many aspects. The Creative Sound BlasterX H7 attempts to give you 7.1 immersive sound. 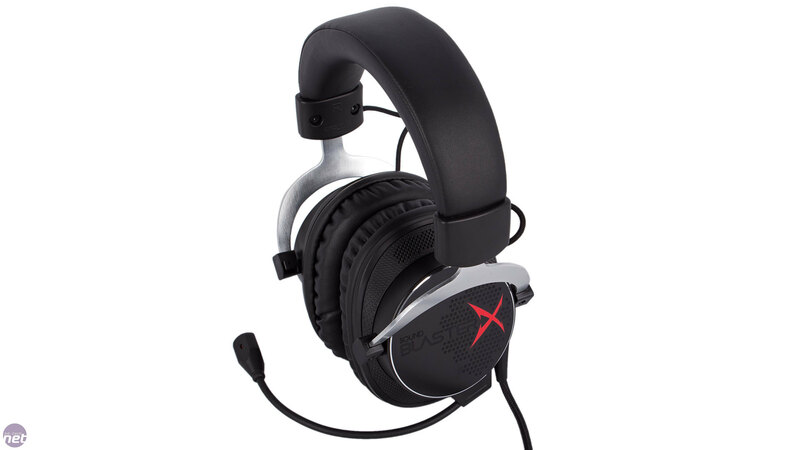 How does the new HyperX headset stack up against the competition?